Software has found its way to the field. Ten years ago, that would have been unheard of. Workers were carrying their giant blueprints, and countless paper forms used to record data, out to the field – the thought of a cellphone carrying all of that information was more mystical than feasible. Software was only found in the headquarters of any operation, where tireless secretaries would punch field after field of information day in and day out. Things are different now, although the industry has only started its shift into a more technological landscape. With safety equipment like the halo light, a 360 degree LED light that allows other people to see you from miles away, becoming the new norm out on the field, it’s only a matter of time before most workers are equipped with some life changing technology. But I digress. This blog isn’t about safety equipment, but rather the tools that make the job easier. 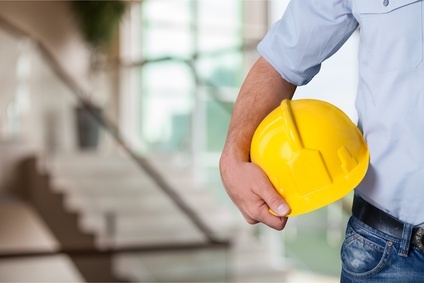 Tools that every construction firm should recognize as essential. Mobile forms work by transforming the paper forms, which have become native to your company, into apps that you can download on any smart device, whether it’s a LifeProof protected iPad, or a cheap android phone that you purchased just to keep up with the times. Apps have always been seen as something exclusive to only the biggest companies in the world. After all, hiring a team of software developers and programmers to create an app from scratch would set the company back thousands of dollars and months’ worth of development time. With the introduction of online mobile form development platforms though, the barriers of entry for integrating mobile forms into the business has become smaller and smaller. So why haven’t more people converted to mobile forms yet? To most construction firms, mobile forms jeopardize the business process which construction companies have adhered to for years. Never has the accessibility of mobile forms been so high that nearly everyone can afford it, and although it’s an easy fix to a lot of common issues that firms have, it has not been widely accepted. Digital forms, while infinitely easier to use, are still seen as exclusive to the technically elite. Snappii’s intention is not only to break that misconception, but to redefine it. Rather than solely creating unique apps for businesses, Snappii has developed a platform that allows businesses to snap fields together to create a mobile form in a fraction of the time it takes for developers to make it from scratch. Using this technology, you can recreate your paper forms into mobile forms yourself, saving countless dollars. Aside from the fact that the development would cost next to nothing compared to what you would pay for custom work, there’s other way’s this can help with saving money. For example, paper would no longer be necessary, and at an average of around $160 per employee, that alone is a huge savings. Let’s also not forget the amount of time your employees will save from eliminating the need to travel to drop off documents. Since everything is digital, finished forms can be mailed to the headquarters, where secretaries can automatically input the information instead of retyping it into the back-end system. Time is money. If fear is stopping you from trying out Snappii’s platform, use our free trial to see if for yourself how easy it is. There’s no obligations unless you decide to publish your app, and you can make as many prototypes as you need to get the perfect piece of software for your business. Try it out for yourself and see! If making an app from scratch doesn’t sound feasible, you can also hire one of our developers to leverage the platform for you. Since they would be using the platform we developed, turn-around time will be WEEKS instead of MONTHS, and the cost will surprise you (in a good way). Click here to send a custom request to sales with as much information as you can, and we’ll show you how fast our platform can turn your business around.